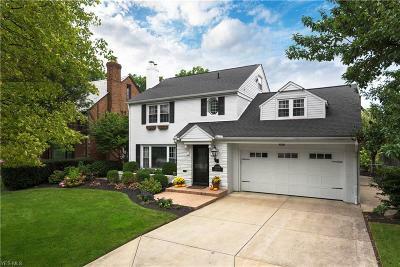 Chic and stylishâ¦this brick Colonial will wow you from the minute you enter. The spectacular new kitchen has it all!...marble countertops, tile backsplash, custom cabinets, stainless steel appliances, new hardwood floors, exposed brick, walk-in pantry, and a delightful eating area w/bay window. Gleaming hardwood floors continue in the light filled living room w/gas fireplace, and adjacent dining room which boasts floor to ceiling bay window. Comfortable and newly carpeted family room with skylight adorned vaulted ceiling & built-ins surround another gas fireplace. Convenient full bath on the 1st floor, too. Tranquil second floor master suite includes bathroom w/subway tiled shower, marble vanity top & sizable walk-in closet. 2nd bedroom is so spacious there is also room for a sectional couch and loads of closet space. 3rd bedroom has built-in shelving. Full bath includes newly tiled floor.The roomy 3rd floor bedroom could also be a playroom or office-fabulous storage space up there!. Lower level family room has an updated fireplace as itâs focal point and new carpet along with waterproofing (2015). Whole interior freshly painted in today's colors. Beautiful new landscaping, lovely patio, fenced yard, sprinkler system, storage shed, and 2 Car attached garage. What more could you want? How about fantastic location, lake access/beach privileges, close to parks, shopping & dining, on one of Rocky Riverâs finest streets, Aberdeen Road.